I’m trying to stop being lazy. I am possibly the worst “blogger” of all time as I go months without updating or doing anything except binge watching netflix. So this is me trying to get paintings together for an art show thingy. I will be posting in a productive manner for approximately 2 months maximum… Then I guarantee I’ll be over it. This entry was posted on February 3, 2015 by Gemma Surma. 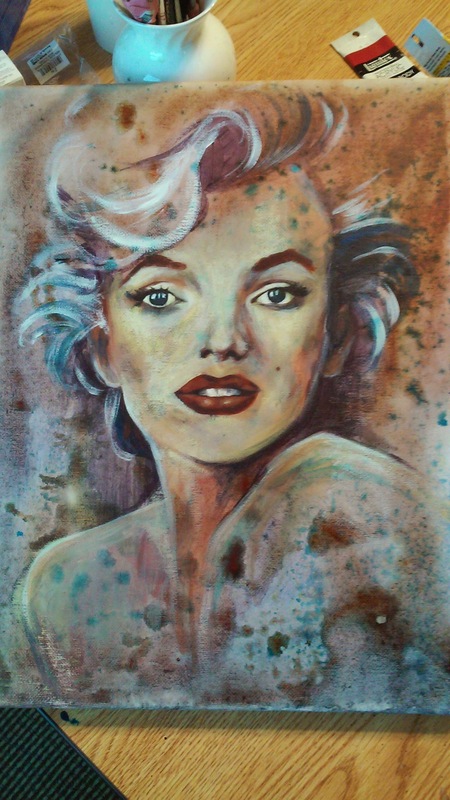 It was filed under Uncategorized and was tagged with acrylic, Art, blotches, ink, Marilyn Monroe, Painting.